General Dynamics Ordnance and Tactical Systems – Canada (GD-OTS Canada) produces the Target Practice (TP) C100 and the 57 mm 3P (Pre-Fragmented, Programmable, Proximity) cartridge (Under BAE Systems License for Canada) for BAE Systems 57 mm L70 Mk 3 automatic gun being installed on the Canadian Navy Halifax Frigates. 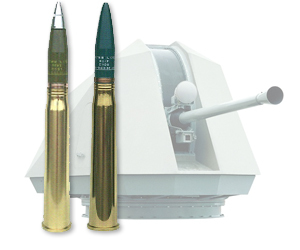 The 57 mm Target Practice (TP) C100 cartridge is compatible with the BAE Systems 57 mm L70 Mk 3 automatic gun being installed on the Canadian Navy Halifax Frigates. The projectile is fully inert and allows for safe and cost-effective training as well as Fire Control system calibration to be carried out. Precision: X< 0.61 mils, Y < 0.76 mils. 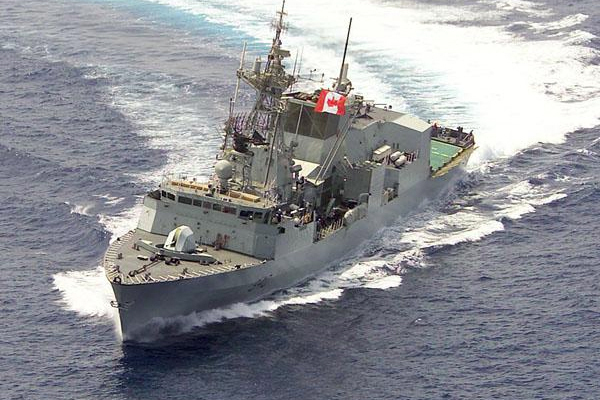 The 57 mm 3P (Pre-Fragmented, Programmable, Proximity) cartridge is designed to be used with the BAE Systems 57 mm L70 Mk 3 automatic gun being installed on the Canadian Navy Halifax Frigates. With a fully programmable in-bore fuze, the 3P ammunition provides the capability to engage any air, sea and land targets using a highly lethal pre-fragmented payload. Moreover, the 3P cartridge is fully IM providing increased safety to the ship and its crew.